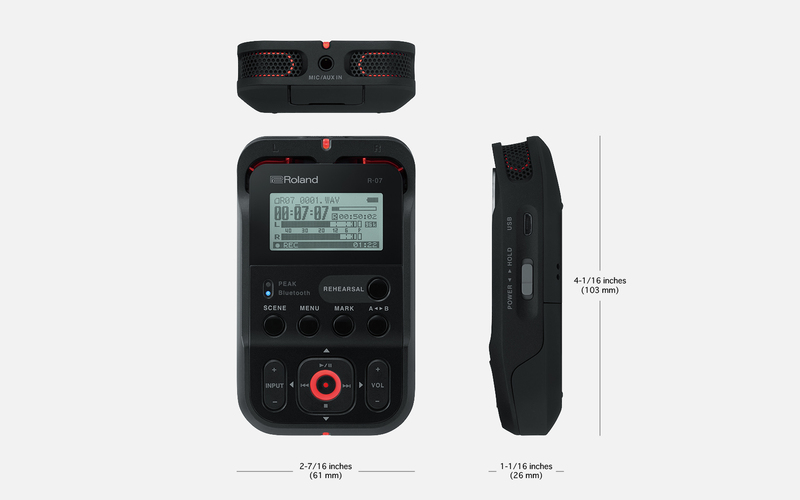 The R-07 is a handheld recording gadget, in the tradition of Roland (and Edirol) recorders past. That already suggests it could be a good choice. This year’s model has various high-quality modes and stereo recording, including built-in stereo operation. Now, that already can best the internal mono mics in your smartphone. Plus, add-on mics are kind of a pain – they require different connectors, may make you worry about battery life, and then require you to position your phone in the recording location. Plus, phones generally speaking lack tripod mounts (even if there are some solutions to that). So the R-07’s innovation is to both respond to the sleek, small design of modern phones, and to couple with your iPhone or Android phone for added functionality. 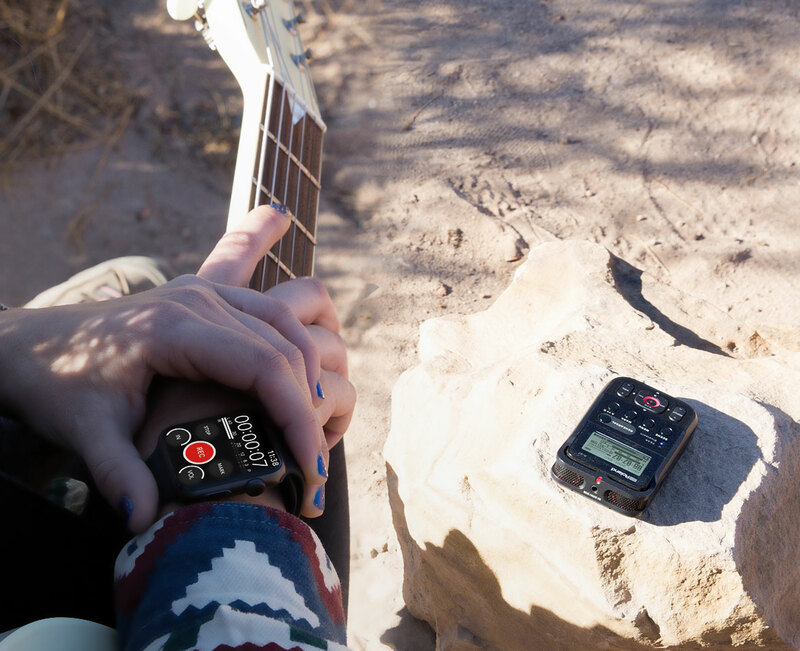 This doesn’t look quite like any handheld recorder we’ve seen yet from Roland or anyone else. It’s incredibly tiny, with a sleek design that seems more consumer gadget and less chunky pro audio device. It still manages to include one-touch access to important features, plus USB connectivity, audio jacks, and a built-in stereo mic. But it does so in a pocket form factor. 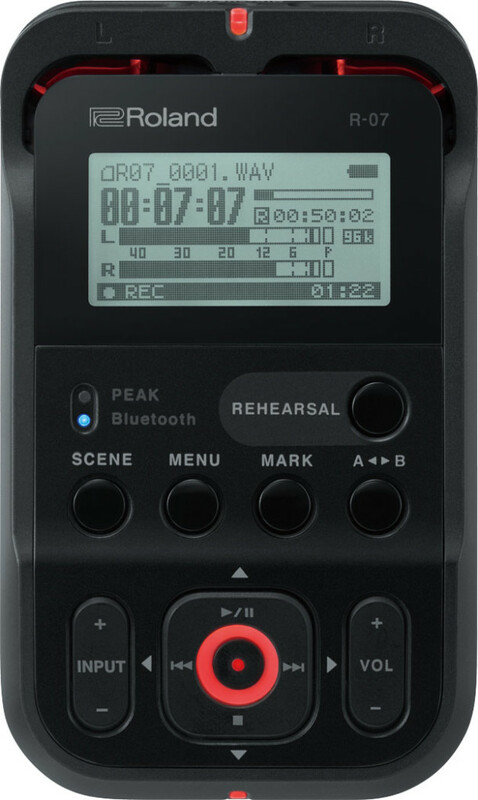 Apart from the phone features, the R-07 looks like a darned cute little pocket recorder – like one that would actually fit in your pocket. It also solves a really big problem that may be more important than wireless operation or how it works with your phone, and that’s that it has some features to prevent you accidentally recording at a volume that’s too high. Each time you record, the R-07 actually makes not one but two recordings – one at full level, and one at a lower level. So when the full-level recording clips, you can go back to the lower-level recording that has more headroom – even just for the portion that clips. If you’d prefer this process to be automatic, something called Hybrid Limiting automatically splices in the lower-level bits you need. Neat. I’m curious to try this in practice. The R-07 can make two simultaneous recordings—one at full level and another at a lower level with increased headroom. If there’s unexpected clipping in the main recording, you can replace that section with a portion of the lower-level backup recording. Hybrid Limiting can even handle this automatically, so you get all the safety of limiting with none of the downsides. With the splashy marketing materials and a launch this week at the Consumer Electronic Show, it’s clear Roland hopes this recorder will reach out to a wide, wide audience. Hope we get to try one. My current rig includes both the Zoom H4n and Zoom iQ6 for iOS to attach to my iPhone. Curious to see how this stacks up. Updated: Street is US$229.99; available in April.